Are you tired of paying extra, month after month, for your internet service? Is watching HD video eating you alive? What about Ultra HD video? The first uses up to 3 GB an hour; the other eats up 7 GB an hour! With these kinds of results, you’ll never get through all the new stuff on Netflix or Hulu this month! Fair? Hardly. Data caps are everywhere. From mobile providers to internet service providers (ISPs), these companies are applying or experimenting with all kinds of data cap packages. This is preventing you from doing everything you want or need to do. 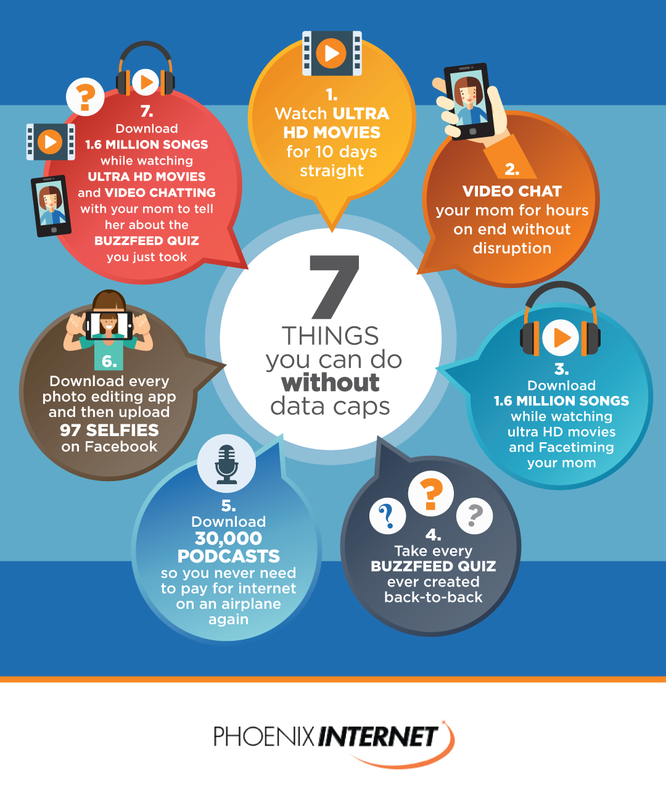 With Phoenix Internet, we have no data caps so there is no limit on what you can do. 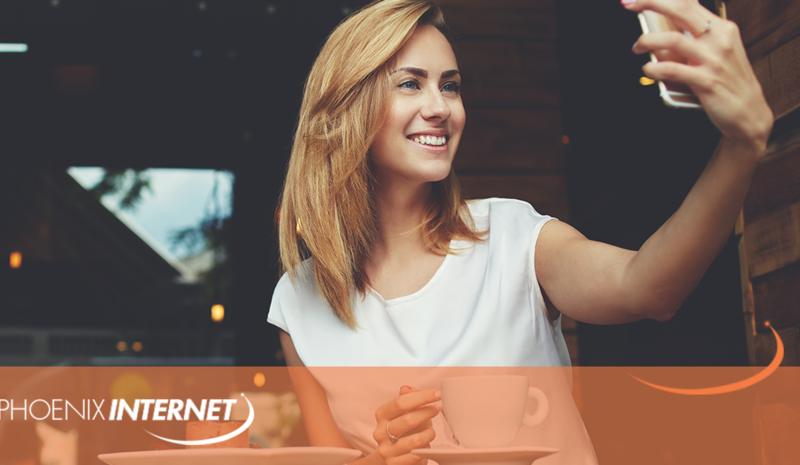 At Phoenix Internet, we offer high-speed internet service without the restriction of data caps. Internet providers without data caps are able to provide their customers with an internet experience that providers with data caps simply cannot provide. There is so much you can do with your internet when there are no data caps in your way. Phoenix Internet is proud to provide an internet experience without data caps. Our clients are the reason we exist. We want to make your life easier and more profitable in whatever way we can. We don’t like hidden costs ourselves, so why should we impose the same on you? At Phoenix Internet, you get what you see: quality, excellent customer service, high-speed internet, and no data caps. See our pricing plans here. We leave the last to our competitors who will one day realize that people matter over profits. Contact us today to make the internet yours, all yours.